I have just uploaded to Academia.edu an amended version of my compact biography of Charles Lucas, the eighteenth-century Irish patriot, author and medical doctor. In contrast to figures such as Swift and Grattan, Lucas is little remembered today and has not infrequently been dismissed as a minor politician and anti-Catholic bigot. Born in County Clare in 1713, Lucas’s earliest surviving published work described Kilcorney Cave and the Burren. After moving to Dublin city he trained as an apothecary and agitated against abuses in that trade. Following his election to Dublin Corporation as a guild representative in 1741 Lucas led an unsuccessful campaign for municipal reform. 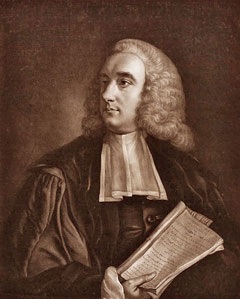 Lucas’s candidacy during the Dublin by-election of 1748-49 was accompanied by copious pamphleteering on national as well as local issues, leading to his condemnation by parliament for alleged seditious writings and exile in Britain and Europe. Having qualified as a medical doctor Lucas promoted hydrotherapy in particular as a cure for many illnesses. Following his return from exile in 1761 Lucas succeeded in being elected as one of Dublin’s MPs, and in parliament his legislative achievements included a control of drugs act in 1761 and the 1768 Octennial Act. Lucas continued to assert Irish autonomy and to oppose perceived English misgovernment until his death in 1771. A case is made that despite Lucas’s undoubted Protestant prejudices, he was more than a mere anti-Catholic bigot, and furthermore that his ideology was nationalist and marked a pivotal transition to the republican separatism of the United Irishmen. The text of A Forgotten Patriot Doctor: Charles Lucas 1771 can be read here, with downloading of a PDF copy optional.